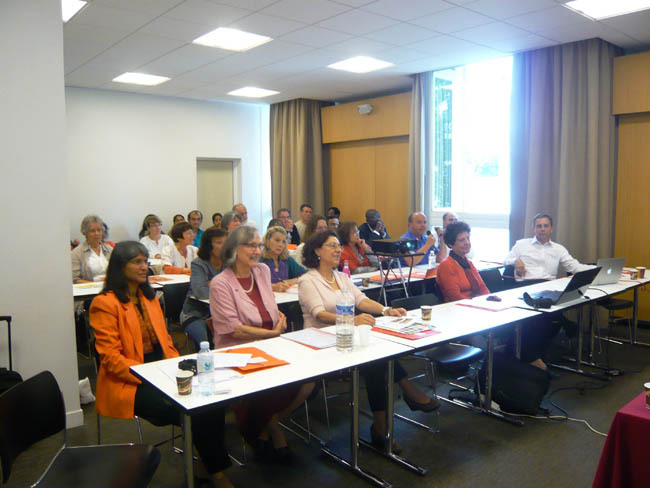 About 35 Sathya Sai members from France, Belgium, and Switzerland participated in a human values seminar in Paris from 24th to 25th May 2014. Three teachers from the Institute of Sathya Sai Education in Southern Europe taught courses in Sathya Sai Educare and three candidates for diploma presented their final projects and passed with flying colours. The seminar was uplifting, instructive and inspiring for all attendees.